Frontier IP Group (LON: FIPP), a specialist in commercialising university intellectual property, today announced strong progress in Portugal with the incorporation of a new company which will be called Insignals Neurotech. Insignals is developing patented technology to aid deep brain stimulation surgery on patients suffering Parkinson’s disease, epilepsy and other neural conditions. 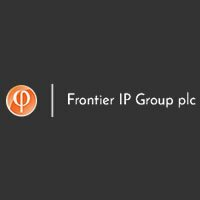 Frontier IP will hold a 33 per cent. stake in the Company. It is the Group’s third spin out in Portugal, where it aims to be a leader in university IP commercialisation. Insignals, a spin out from the Portuguese Institute for Systems and Computer Engineering, Technology and Science (“INESC TEC”) with the support of São João University Hospital, part of the University of Porto, is developing wireless wearable devices to precisely measure wrist rigidity to help surgeons place brain implants more accurately. The first product is aimed at Parkinson’s disease, and has already undergone two clinical studies. Increased muscle rigidity is one of the key symptoms of the disease and is often treated by implanting deep brain stimulation electrodes when drugs no longer have an effect. Insignals’ devices could help place the implants more accurately. Doctors evaluate wrist rigidity during surgery to decide the optimum position for the implant. Currently this is done by two trained surgeons making a judgement by manually manipulating the wrist. This means evaluation can be biased by the physicians’ experience and perception. Other systems designed to provide objective and quantitative evaluation are complicated to set up and are impractical for use during surgical procedures. Insignals’ device is easy to set up and use. Potential applications include helping pharmaceutical companies monitor or assess the impact of new or approved drugs in rigidity reduction during clinical trials. The Company has already received interest from potential industry partners and is looking to enter into collaboration agreements to extend clinical trials in Portugal, the UK and Germany. Insignals was established to commercialise the work of João Paulo Cunha, Associate Professor with Agregação at the Department of Electrical and Computer Engineering at the Faculty of Engineering of the University of Porto and senior researcher at the INESC TEC Institute for Systems and Computer Engineering. There, he created the Biomedical Research And INnovation (BRAIN) research group and co-founded the Centre for Biomedical Engineering Research.